Sometimes the loss of a dog or an owner in a household (the most frequent cause of canine depression) may appear to cause a dog to be depressed, but in actuality it is caused by the dog reacting to the grief of the human survivors and/or the lack of attention the dog is receiving since the loss. Dogs can get a little down sometimes just like people do. Normally, they bounce back after a short period. However, when the symptoms persist for an extended period there is something else going on. A complete check with your veterinarian may be a good first step since many physical ailments can masquerade as depression. After a veterinarian check, your next step is to consult with an independently certified dog behavior consultant, behavior specialist or animal behaviorist. A dog behavior consultant will assess the dog to ensure the issue is actually depression and then work with the owner to implement behavior modification and environmental changes. If the depression is significant enough, a behaviorist may work with your veterinarian to include behavioral medication as part of the overall treatment plan. The goal of most of the medications is to raise serotonin levels. Serotonin is the same neurotransmitter that is found in humans and plays a role in human depression too. The most common medications prescribed are SSRI (Selective Serotonin Reuptake Inhibitors) antidepressants such as Prozac, Zoloft and Paxil. Not surprisingly, these are some of the same medications used to treat human depression. There are some older tricyclic antidepressants such as Clomicalm and amitriptyline that are sometimes used but they generally are not as effective as the newer SSRI medications. If you feel your dog may suffer from depression, seek help. Intervening early can make resolution much easier. Human depression can sometimes take years to fully resolve. 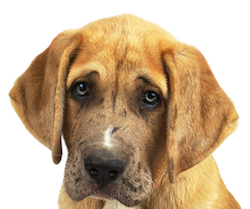 If dog depression is treated early enough, it normally resolves in a much shorter time depending on the severity.